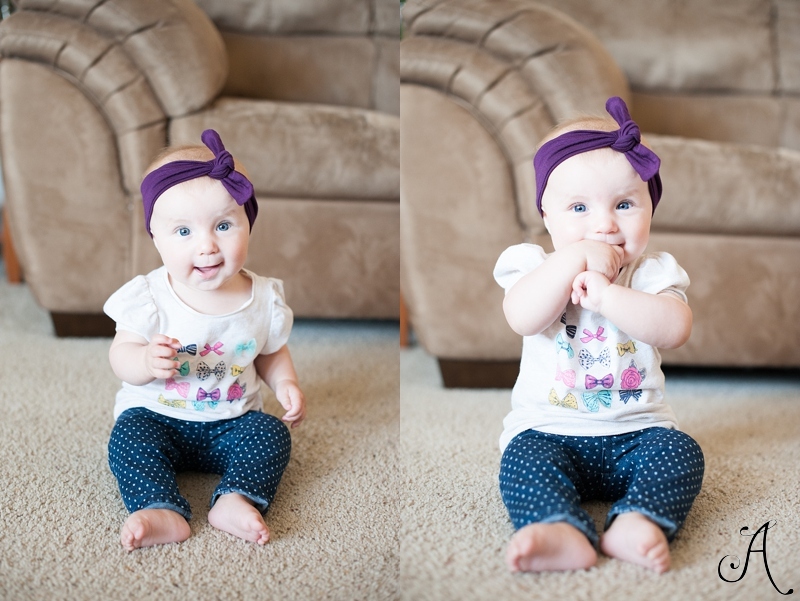 Brinley is 6 months old and she is at such a fun age! She is sitting up on her own and that has really helped with her staying entertained. She sits and watches big brother play and is pretty occupied by that. We think she is teething but no teeth have popped through. She weighs about 16 lbs. and is our little monkey--just hold her and she is content. :) She loves being attached to mama. Brynn loves being outside and can face forward in the stroller on our walks. She fell asleep this morning while we walked through the park and Brody rode his scooter. Poor second child doesn't have nearly the scheduled routine as the first. She is kinda forced to go with the flow. This whole second child thing applies to first time foods as well. Brody had all organic and one fruit/vegetable per week in order to make sure he didn't have any allergies. Two weeks ago was when we started Brinley on foods. So far she has had avocado(her first food), beans from a Mexican restaurant, hummus, In N Out french fries(I'm telling myself it was just a potato;)), and chicken pieces at a Chinese food restaurant. I don't know what to say...so I'll just move on. 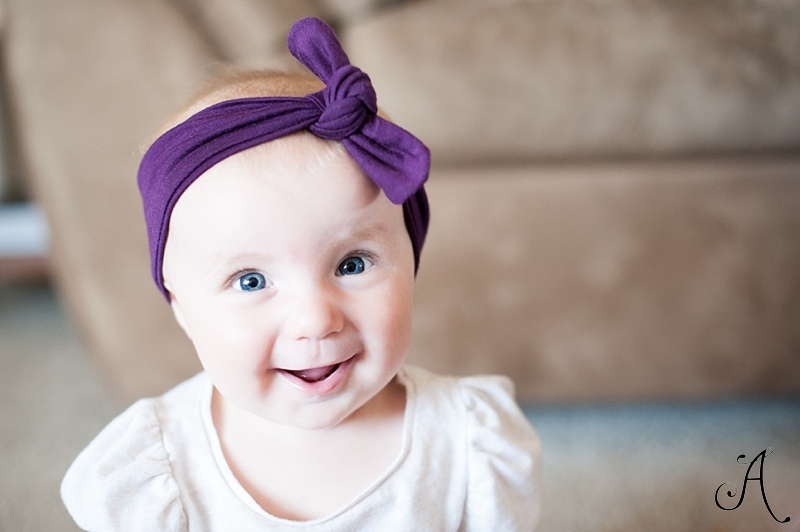 Brinley is a happy girl and will soon be crawling. She rolls and pivots all over the living room. She's lifting her little booty up and trying to get to brother's toys but hasn't quite figured it out. I'm not rushing that, though. She can stay my little barnacle baby a bit longer. Every single night that I put her to bed, I hold her extra tight and pray with her. I breathe in her sweet neck and tell myself that I am, indeed, loving this stage of life. I know her toes and her giggle. I want to know that I am not just getting through each day but enjoying moments in it. Each night, while kissing her cheeks over and over again, I remind myself that she is a gift... a precious daughter who is VERY loved.